Developed by HAAB Entertainment,SHERLOCK: Interactive Adventure is a truly interactive story of the real Sherlock Holmes. Designed with authenticity in mind, Sherlock: Interactive Adventure brings the story of Sherlock Holmes to life with 3D animations, professional voice acting and beautiful storytelling. 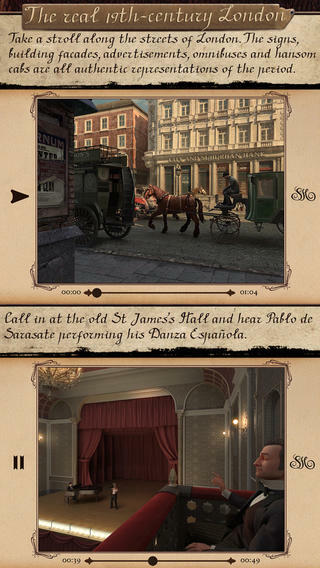 Sherlock: Interactive Adventure gives you an insight to Victorian-era London that you may never have experienced. The characters from the story are wonderfully illustrated and feature in interactive 3D scenes that are based around the plot of the book. You can explore the scenes, moving the camera around the room and zooming in on objects of interest. The app has an interactive map of London (as it was in the 19th century) which you can explore to get a feel for the story and the period in which it was set. You can also take part in the investigations by looking for articles and clues whilst you read. 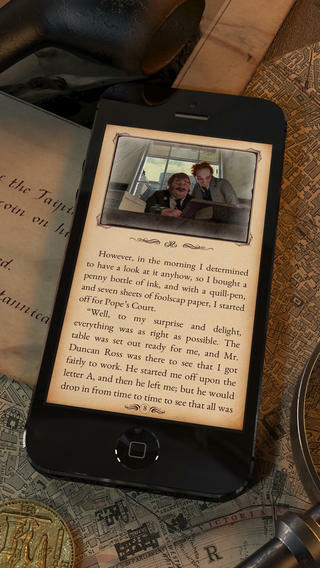 The pages of the book are turned naturally using a swipe of the finger and you can easily switch between story mode, character dossiers, period articles and the London map. 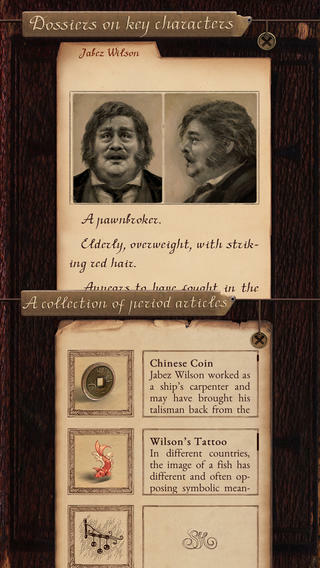 Sherlock: Interactive Adventure is much more than your standard book for iOS – it really is like entering in to another time. The app is free to download and only a $2.99 in-app purchase to upgrade to the full version. 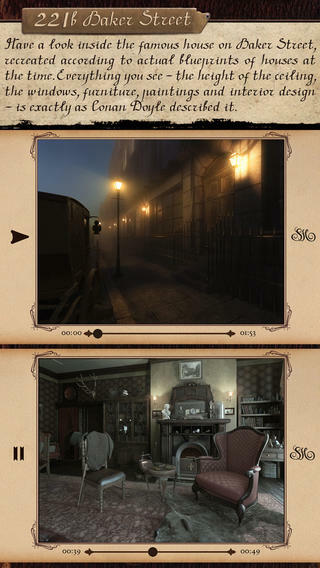 One of the best interactive books that we’ve seen yet for iPhone/iPad, Sherlock: Interactive Adventure is well worth a look. SHERLOCK: Interactive Adventure requires iOS 6.1 or later. Compatible with iPhone, iPad, and iPod touch. This app is optimized for iPhone 5. Follow Tapscape for reviews of all the leading iPhone apps.